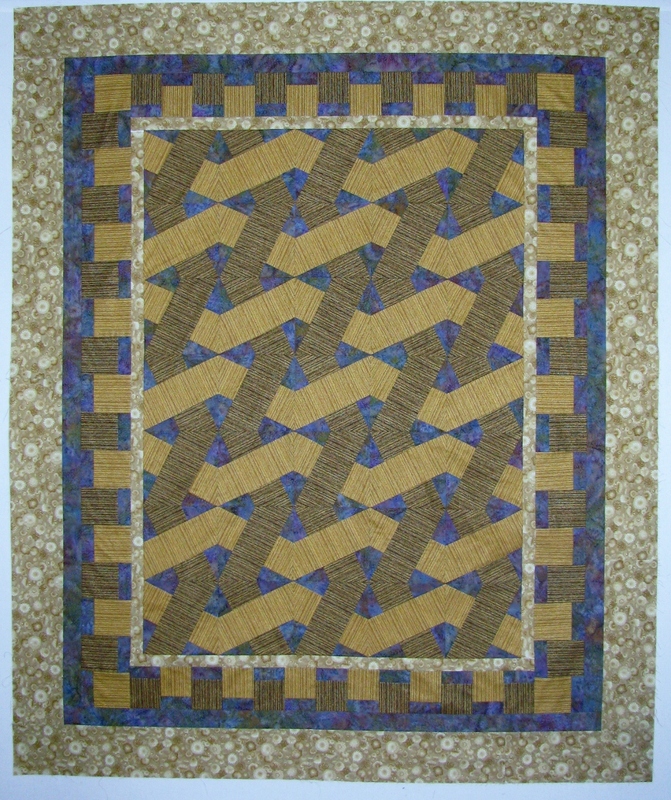 Here is the completed quilt top. I had such a hard time deciding on a border and for the longest time I thought that the first inner border needed to be a blue/purple batik. 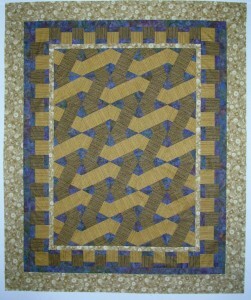 However after talking to my quilting buddy Lucy, I realized that I was limiting my options. After some deliberation, I settled on this gold oriental floral print which lightens the whole top. I know how I want to quilt this top and hopefully, it will be a finished quilt later this year.